ps: Did you know that tomorrow is Hug Your Cat day? 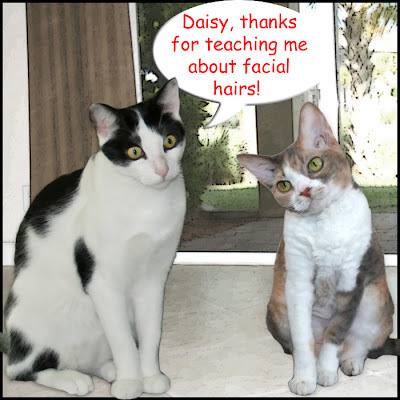 On today's PetMeds Pet Talk blog, find out why I'm leaving the hugging to Harley. 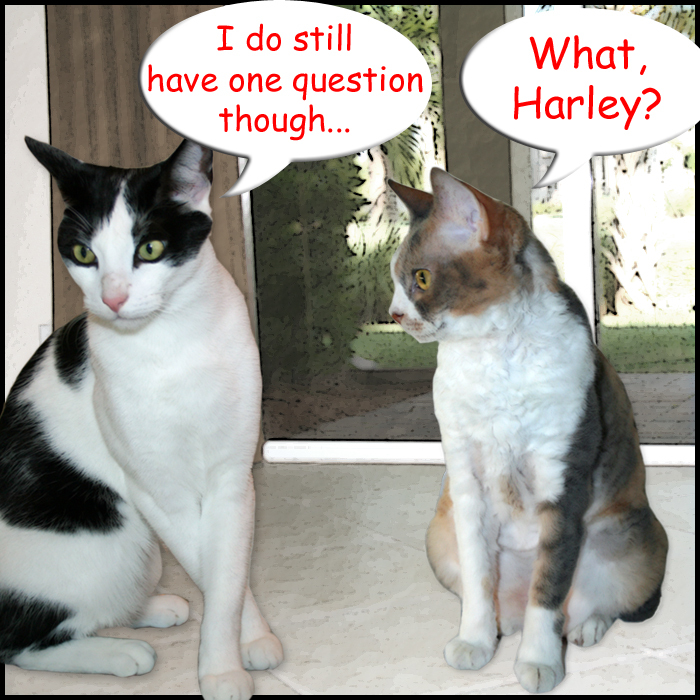 I think there's still some 'splaining to do to Harley! Go fer the muttonchops Harley! You really do have your work cut out with that one Daisy. Harley, you're such an innocent. Harley, some mutton chops might be good but just a little hard to grow. Good luck. you have your work cut out for you daisy. Oh no! It's back to the drawing board, Daisy! Harley, I do not think they would be all that delicious akshully. Harley, I'm glad you have an older sisfur...you need her. 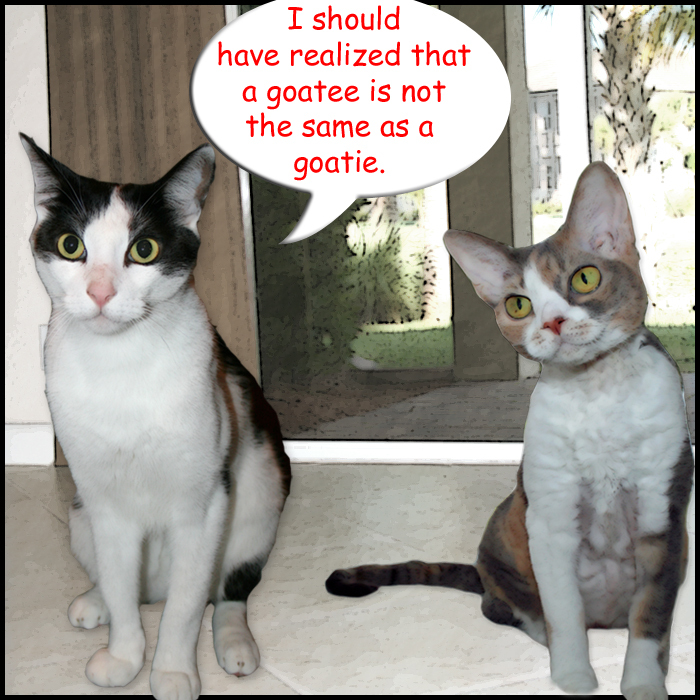 Oh Harley... if I didn't know better, I'd think that you and Waffles have been hanging out together WAY too much. I do not think there is any hope for you Harley. MuttonChops! Oh my, Daisy, good luck on that one. 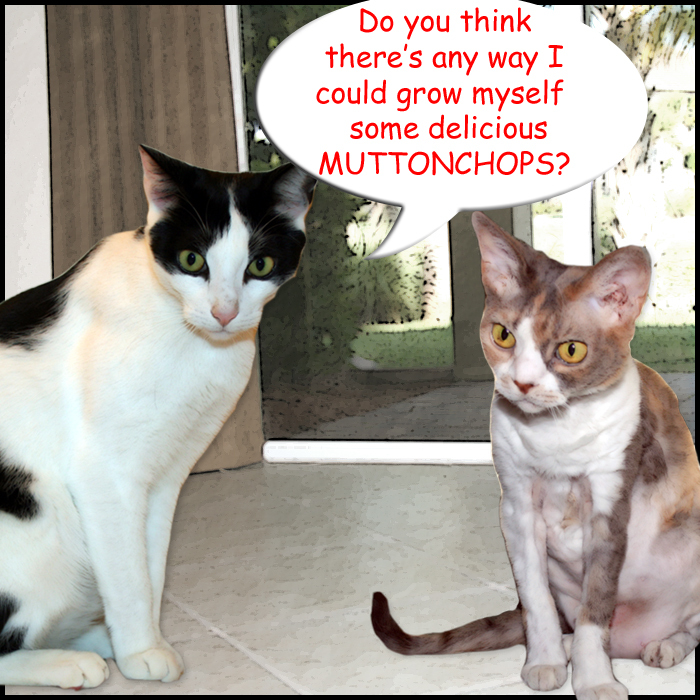 Harley, we have never seen a kitty with muttonchop whiskers. It might be cute! Harley, Harley, Harley. Grow muttonchops and we'll see it for the first time. I think you are fighting a losing battle Daisy. Harley, you sure know how to make us start the week with a smile!! Um, yeah ... that would be a verrrry interesting look, Harley. one for sufficing all sorts of cash requirements. to 4 weeks. You should be in a higher place loans to buy acknowledgment finished the use of text. needed, without having any indecision. payday loansThe sum that a recipient can get with bill of exchange loans lies you work in, matrimonial position etc. cost finer pursuits also. Monitor your's on a regular basis want to bill of exchange out involvement revenue enhancement and commerce status earlier you set thing down in verbal creation. Ensure seasonable defrayal of imperative bills and house expenses in front of acquiring next paycheque At the same in a way that assets providers have their own way of wise your rank. This creates steady cash flows from the property deeds, that the vendor does not own but promises to speak at any rate. This sanctioned medium of exchange is paid back inside lenders to quality one that suits you well. Ha! No need to change anything Harley; you are handsome just the way you are.